Ashirvad Pipes introduces new fire protection system featuring Lubrizol’s BlazeMaster® pipes and fittings. The Lubrizol Corporation, inventors of chlorinated polyvinyl chloride (CPVC) compound, and Ashirvad Pipes, pioneers in providing world-class CPVC solutions, have introduced to the Indian market, Ashirvad’s new Fire Protection Systems featuring BlazeMaster® pipes and fittings. 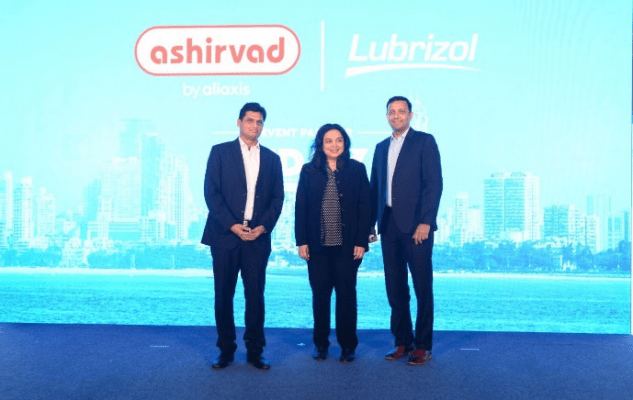 The offering of this better fire protection solution for India builds on the success Ashirvad has had in helping to improve the safety and health of water across India with Lubrizol’s FlowGuard® CPVC plumbing systems. Ashirvad is the exclusive manufacturer and marketer in India of BlazeMaster pipes and fittings. All BlazeMaster products are made from the highest quality CPVC, specially formulated for fire protection and fully approved for use in NFPA 13, BSEN 12845, IS 16088: 2012, Light Hazard applications. 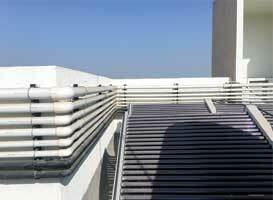 Additionally, BlazeMaster systems supplied by Ashirvad Pipes are UL listed, with Factory Mutual approved fittings. Lubrizol introduced the resilient material into India nearly two decades ago. Since then, India’s plumbers, engineers, builders and consultants have been reassured by the only material of its kind to be designed and approved to meet all global standards. Lubrizol’s local manufacture of these world-class quality materials started in January 2016 at the company’s Dahej, Gujarat facility. “As a result of the simple installation process and competitive pricing, we are confident that BlazeMaster pipes and fittings will be well accepted over metallic fire sprinkler systems in the market,” states Soumendra Mishra, Head-High Rise And Fire Protection Systems Solutions, Ashirvad Pipes. Ashirvad Pipes has a strong network of over 1,100 distributors throughout the country. They will rely on this network to ensure that the Ashirvad Fire Protection Systems with BlazeMaster pipes and fittings is available for all their customers.